Cosy newly-renovated apartment for two adults. Open plan lounge with Sky TV, Wi-Fi, and iPod dock/Hi-Fi. Fully equipped kitchen/diner. 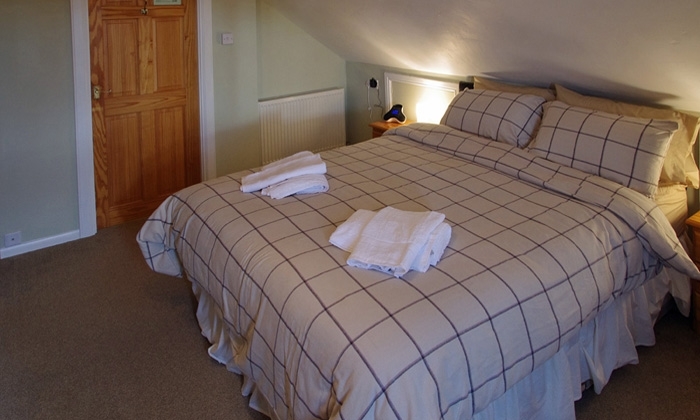 Upstairs bedroom, with king sized bed and en-suite shower room/WC. Dinner on arrival available on request. 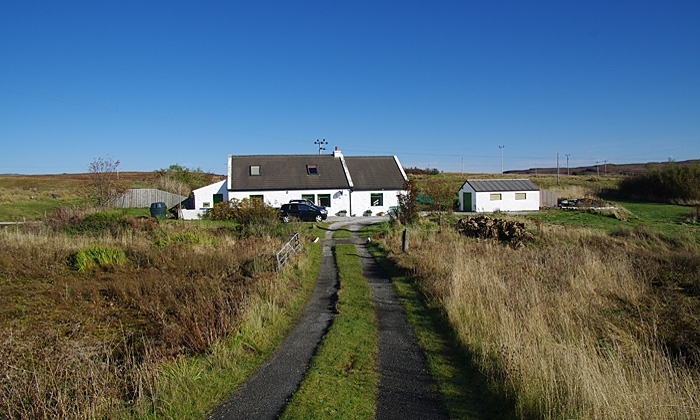 The Apartment at OldByreSkye is situated in the small coastal township of Ose, on the shores of Loch Bracadale. 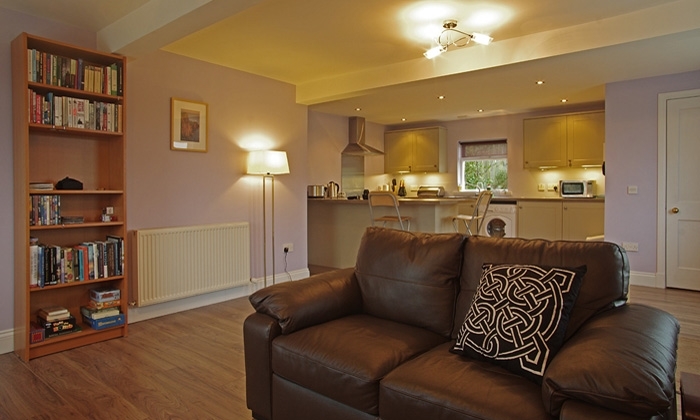 Adjacent to the owner’s traditional, croft house home, this newly renovated apartment provides contemporary cottage living for up to two adults. It is completely self-contained and enjoys its own private entrance and parking area. The spacious open plan lounge has been well planned and equipped, creating the perfect sociable space in which to lounge and relax. The furnishings and fittings are of a high standard throughout, and are complemented with little touches of island culture. Large lounge windows allow sunlight to stream in on sunny days, and the wood-burner effect electric stove creates a cosy hideaway whatever the season. 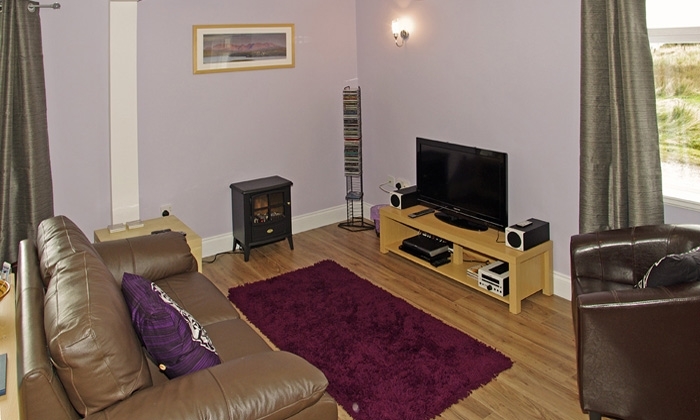 The apartment retains many of its traditional features, but offers guests all the modern comforts of home with Wi-Fi, iPod docking stations and a large flat screen HD television with Sky TV. There is also a DVD player and a selection of CDs, DVDs, books and games for you to enjoy. 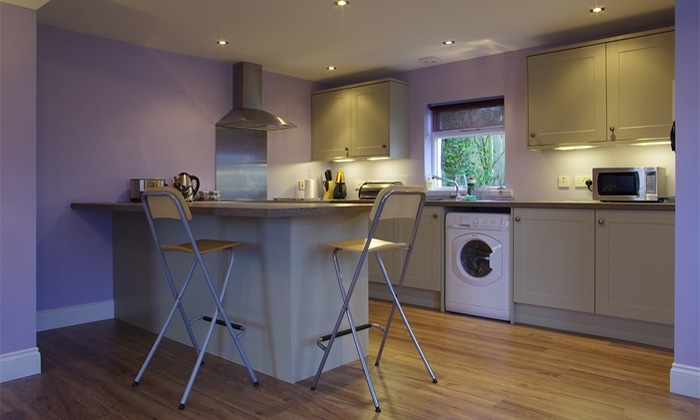 The kitchen-diner is situated at the far end of the lounge area and is fully equipped with ceramic hob and oven, microwave, fridge freezer, dish washer, washer/drier and loads of cupboard space full of quality crockery and utensils. 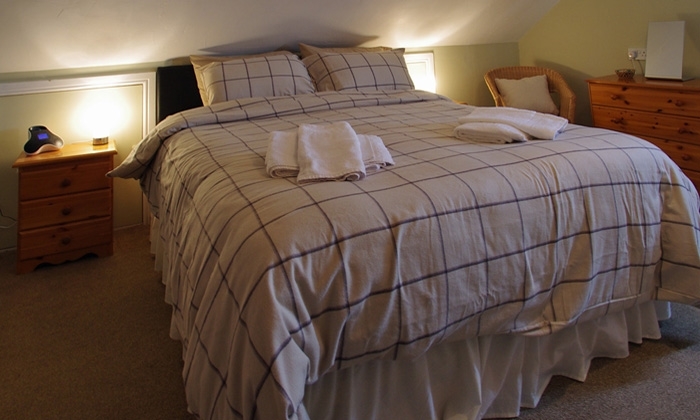 Upstairs is a large bedroom, with a generous king sized bed which emanates cosy comfort. 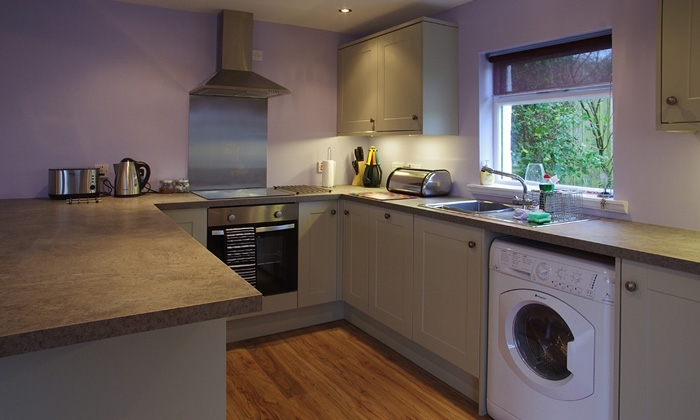 There is plenty of hanging and drawer space, as well as a hair dryer and clock/radio with iPod dock. Wake up to your own soundtrack! The en-suite shower room incorporates a WC, wash-hand basin, heated towel rail and spacious shower. Dinner on arrival on Saturday is available, if booked in advance, at a small extra charge. No need to worry about arriving late and having to cook, or trying to find somewhere to eat out! Choice of six meals, including a vegetarian option (chosen meal option applies to both diners). The Apartment is available from 4:00pm onwards on Saturday. Departure by 10:00 Saturday. Short breaks may be available off-peak. Contact booking agent for details. 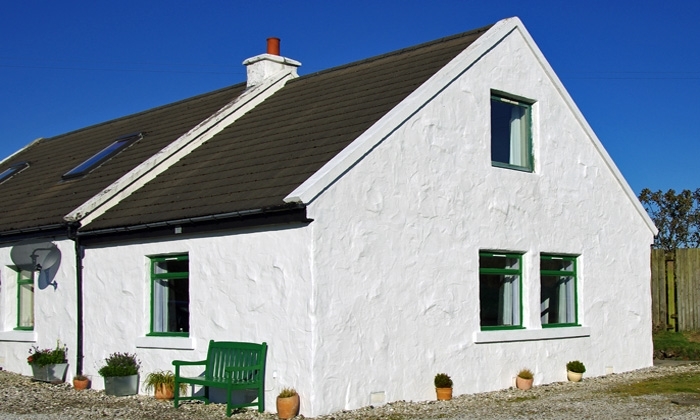 Lying between Struan and Dunvegan on the North West coast, The Apartment is the perfect base for exploring the whole of Skye during your stay. 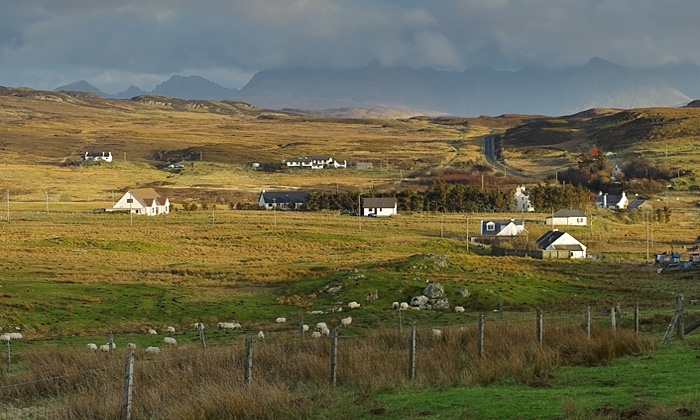 The area enjoys stunning views of the Cuillin Mountains, and the Loch Bracadale shoreline, where seals are regularly seen, is just a short walk away. If you are lucky you might also see otters and sea eagles. A little further afield is the historic Dunvegan Castle, and also close by are the famous Talisker Distillery and visitor centre and the world-renowned Three Chimneys restaurant.